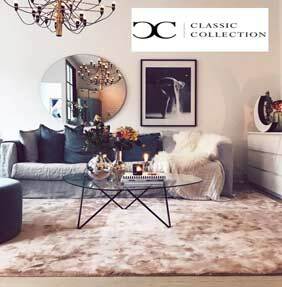 Classic Collection was founded in 1996, its sole aim was to bring Scandinavian design at its best ­to decors around the globe – simplicity, practicality and strong, clean designs are the main focus. Their ambition and goals are to pair stunning design with unmatched craftsmanship all made from sustainable sourcing and impeccable quality for modern living that endures the test of time. All their handmade rugs are high-end, naturally dyed and inspired by the artisanship and skillfully made by master-weavers and rug makers. They select environmentally friendly materials and handmade weaving techniques whenever possible. All their rugs are child labour free and carry the Care & Fair standards.